Siemens Gamesa has a proven track record of excellence in operation and maintenance. Leveraging scale and global reach, we offer a flexible service portfolio that can be tailored to our customers’ diverse operating models. We also provide advanced diagnostics and digitalization capabilities, as well as customized offshore services. You have questions about our operation and maintenance solutions? You need help with a running service contract? Please contact us. To fully tap the potential of wind power for the greatest return on investment, every aspect of your power plant needs to be considered. 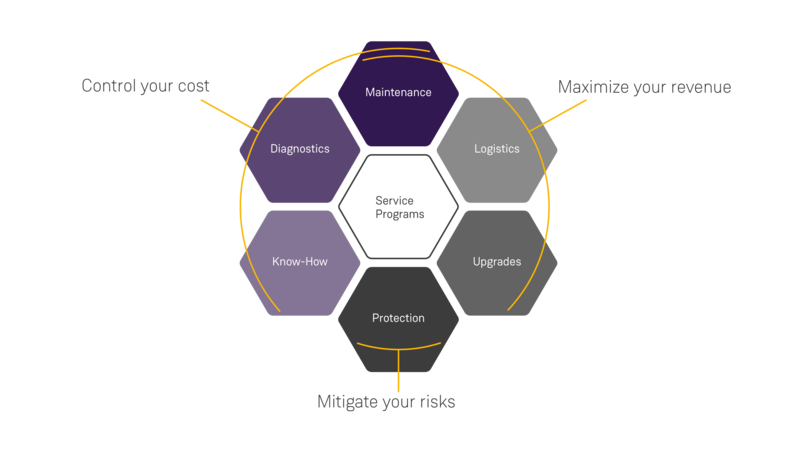 Here, the operation, maintenance and optimization of your assets are all key opportunities for lowering the cost of energy. Wind turbines today are found in increasingly remote locations all over the world, face dramatically different environmental pressures, and will have to endure over 120,000 operating hours over their lifetime. By late 2017, their combined capacity had reached almost 540 GW of energy. And according to forecasts from the Global Wind Energy Council, by 2020 total global wind capacity could supply 17–19% of the world’s electricity needs. 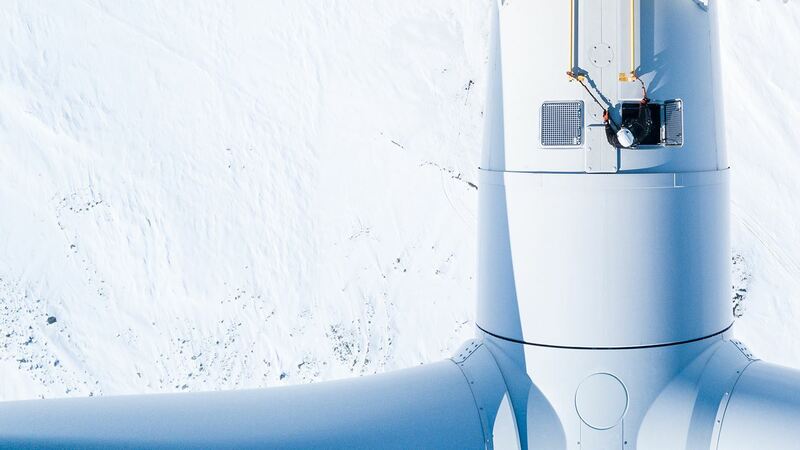 With an average turbine availability of 98% over the last decade, Siemens Gamesa can attest to just how effective comprehensive operation and maintenance (O&M) and adaptable service features are. The Siemens Gamesa service team has unparalleled expertise in performing planned maintenance for your project. Visit our customer portals for your projects. 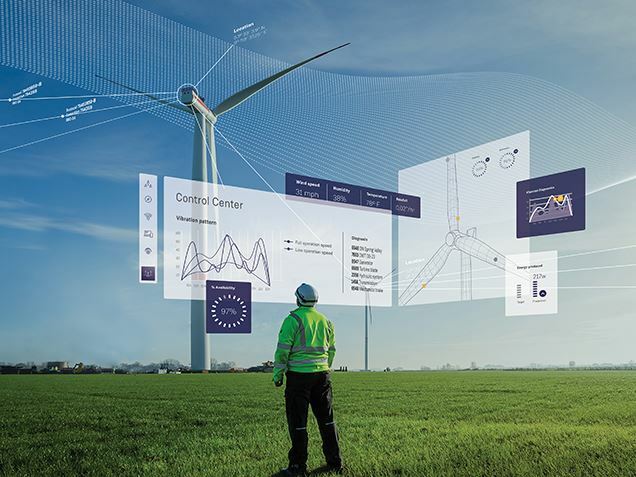 Wind Dialogue: This customer service portal enables you to monitor configuration, production, and agreements for any wind power plants supplied by former Siemens Wind Power. Customer Portal: Customers of former Gamesa products can access information about their wind turbines and wind farms on the following platform. Our multi-brand services bring operational excellence and advanced analytics to all your wind turbine makes. Guarantee the safety and availability of your upgraded turbine until year 30, adding 10 more years of income. Update older wind turbines with the latest Energy Thrust technology and see them perform like new ones.